Ben Faw is a Co-Founder and COO of BestReviews.com. He is leading the review of products ranging from water filtration systems to electric toothbrushes, focused on arming consumers with clarity and confidence. 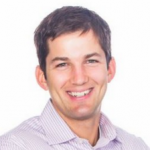 Prior to BestReviews Ben was at LinkedIn, and his education includes an MBA from Harvard, B.S. from West Point, and various military schools in the US Army.